This week, there are points for everything that occurred leading up, during, and after the Hungarian Grand Prix, which includes Fernando Alonso embracing everything to do with that deckchair, Kimi Räikkönen with some amusing radio messages, and Paul di Resta dealing with the aftermath of an unexpected weekend. Daniel Ricciardo holds on to the top spot, with movement from Valtteri Bottas, Sebastian Vettel and Felipe Massa further down the order. We're heading into the summer break now which is traditionally a quiet time on the rankings board, but if you see anything that the drivers get up to - good or bad - then do let me know so I can dispens some points. +2 Sebastian Vettel: Some lovely fan interaction letting a kid sit in his car, love that the kid is so small he just disappears though. Floating hat in the driver's seat. +1 Fernando Alonso: Got to be a point in using his academy to train up a set of mini-me's. An Army of Alonso's, if you will. +1 Daniel Ricciardo: Taking Alonso to the prom. +6 Valtteri Bottas: Really adorable work surprising this young fan, and taking him for a drive at Mercedes-Benz World. +1 Sergio Pérez: Nice gesture to pay tribute to his departing number one mechanic. +5 Fernando Alonso: Embracing the meme the best way possible, Fernando Alonso in a deckchair sitting next to Fernando Alonso in a deckchair. +1 Kimi Räikkönen: Bit mean to Paul di Resta but fun anyway. +1 Lewis Hamilton: Turn back time, playing table tennis in the paddock with his dad. +2 Felipe Massa: Starting the training for Felipinho, good lines there. +1 Fernando Alonso: Managing not to be blinded by what was a very bright birthday cake! +1 Valtteri Bottas: Making his mark, quite literally, in Hungary. +1 Lewis Hamilton: Noisy chap on two wheels as well as four. 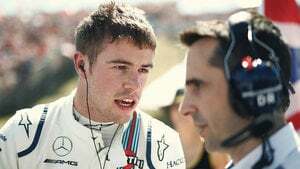 +1 Paul di Resta: Handling being thrown in the deep end at Williams for a supersub weekend very well.